Introduction. Hemodynamic changes of the cerebral arteries in ophthalmic migraine may be an important pathophysiological mechanism of the disease. The nitric oxide (NO) synthesis plays a significant role in hemodynamic changes due to vasodilatation effect. The purpose of this study is to evaluate the possible hemodynamic changes by Doppler measurements and their correlation with NO synthesis in ophthalmic migraine. Method. 37 ophthalmic migraine patients were compared with 35 healthy volunteers. Other cerebral and ophthalmic diseases were excluded by ophthalmological, neurological, and cranial MRI examinations. The migraine assessment scale (MIDAS) was used for clinical evaluation. Transcranial Doppler ultrasonography (TCD) was performed using 2 and 4 MHz frequencies transducers. 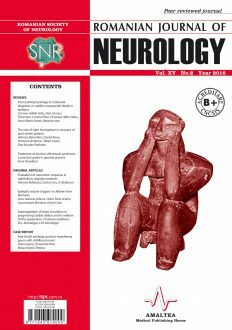 The flow velocities of the internal carotid artery, middle cerebral artery, posterior cerebral artery, and NO plasma concentration were assessed 2 hours after migraine attacks. Results. The NO synthesis was significantly increased compared to the control group. The flow velocities decreased in internal carotid artery, middle cerebral artery, and posterior cerebral artery. The correlation between decreased flow velocities and NO plasma concentration was significant. Conclusions. 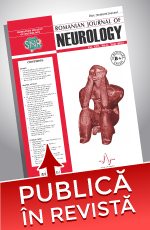 Autonomic nervous system dysfunction in ophthalmic migraine is an important pathophysiological mechanism. The flow velocity status may reflect the vasomotor response and endothelial reactivity induced by NO synthesis. Further studies on the vasomotor response are necessary for the evaluation of this pathophysiological mechanism implication in ophthalmic migraine.